It's official!!! 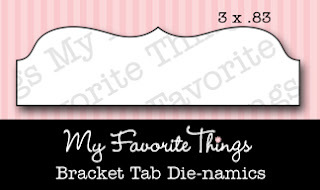 The My Favorite Things February stamps and Die-namics have been released, so you can shop now! And to help you with your shopping, our designers have planned to show you all our new goodies in a Product Tour. Make sure you check out all the designer's blogs as each of us are showing something different from this release, so it's just another peek at everything. 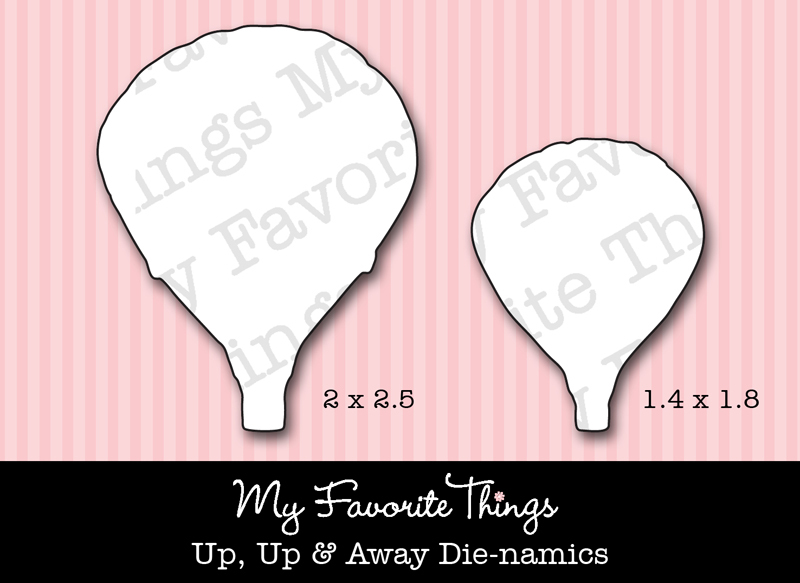 And to help you with your list, we even have a checklist, which you can download from Kim's blog. How fun is that!!! 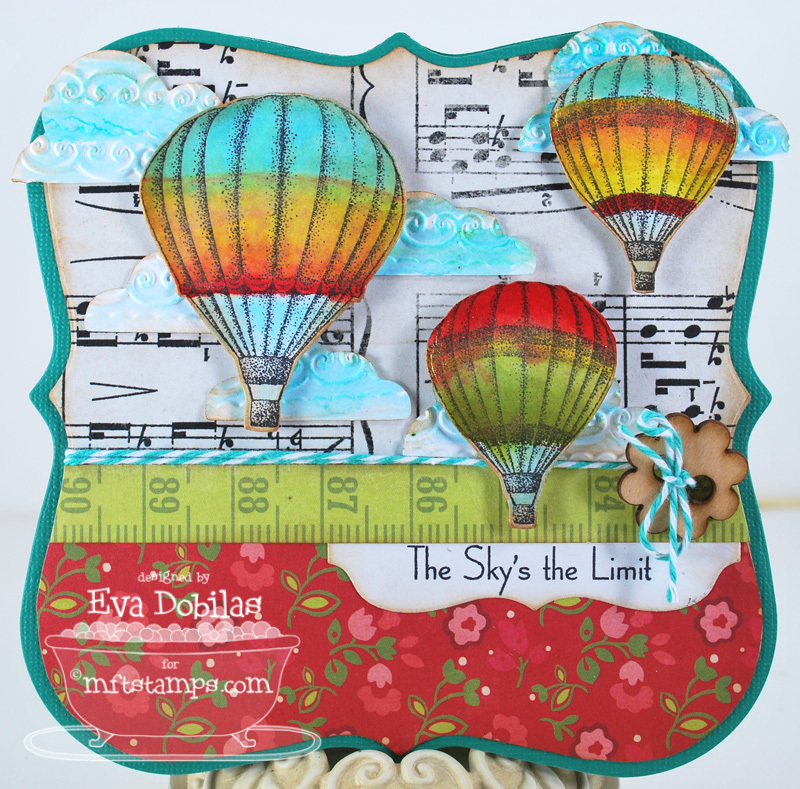 My card today is showcasing some of my favorite stamps and brand new coordinating Die-namics. 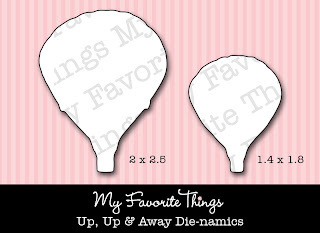 I created my card with Inspired by Up, Up and Away set and the new coordinating Up, Up and Away Die-namics. The effect is stunning! Love having these new Die-namics, as it makes my life easier. And as in the past, I painted my balloons in and my clouds as well with Luminarte Twinkling H2O's. They are fabulous in person, let me tell you! 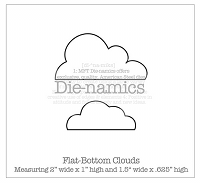 I did a little dry embossing on my clouds, which I think looks pretty fun, don't you? Papers are once again by Echo Park's Lori Whitlock, her newest line called This and That, which I love and I have one more card coming up with it tomorrow. 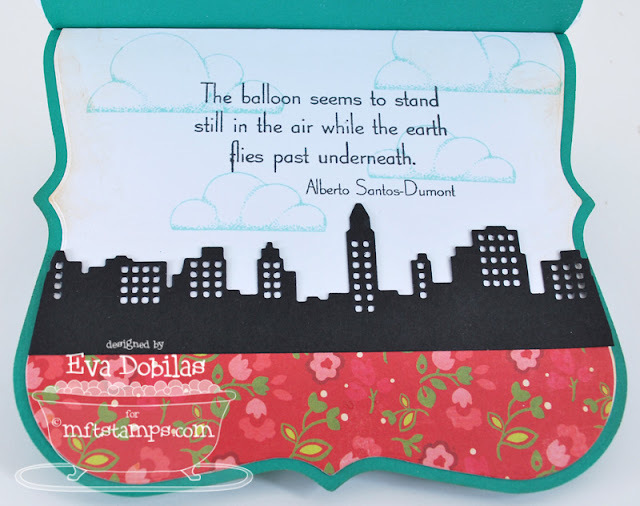 For the inside I used the super fun Die-namics Skyline border and stamped some clouds from the stamp set along with the sentiment. Hope you enjoy this little card!